The Bullets have to devise a plan to stop Bryce Cotton. Picture: AAP. 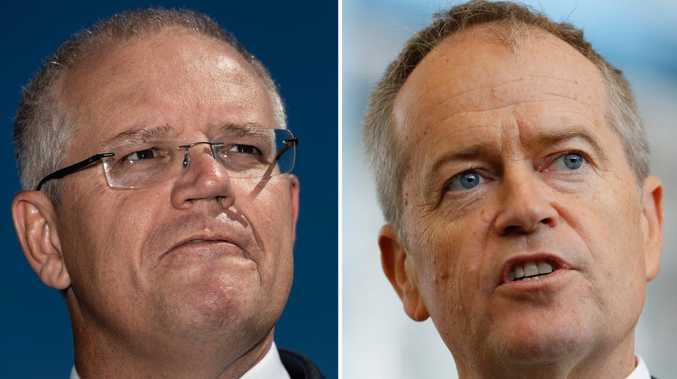 BRISBANE veteran Adam Gibson says the Bullets have been "too soft" in their past two games and need to "man-up'' in Thursday's return clash against Perth. The Wildcats mauled Brisbane in the first half of Saturday's clash at Perth's RAC Arena on the way to a convincing 88-73 win to remain unbeaten in the 2018-19 NBL season. 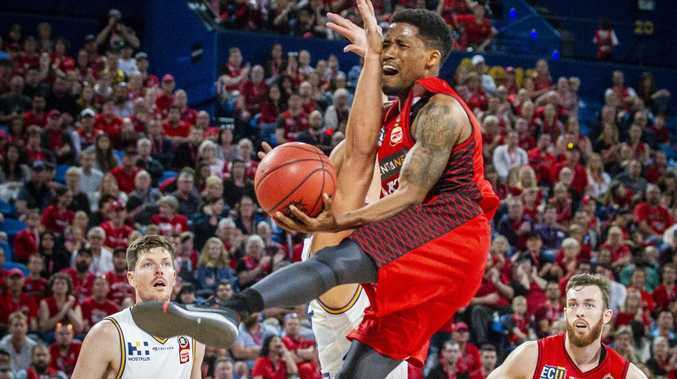 Perth import Bryce Cotton carved Brisbane up with 28 points as the Wildcats dominated the rebound count early to set-up a telling 15-point halftime lead. The clubs do not have to wait long for a re-match as they will meet at the Brisbane Convention Centre at Southbank on Thursday night. Two-time NBL champion and 2012 Olympian Gibson said the clash cannot come quick enough so the Bullets can make amends for a lacklustre first half display that followed on from the 18-point loss to Cairns last weekend. "We just need to play tougher. They got second-chance points (in the first half)…and that killed us," Gibson said. "We just need to man-up, look at yourself in the mirror as individuals and come out and execute the scout and not let Bryce Cotton get wide open shots. 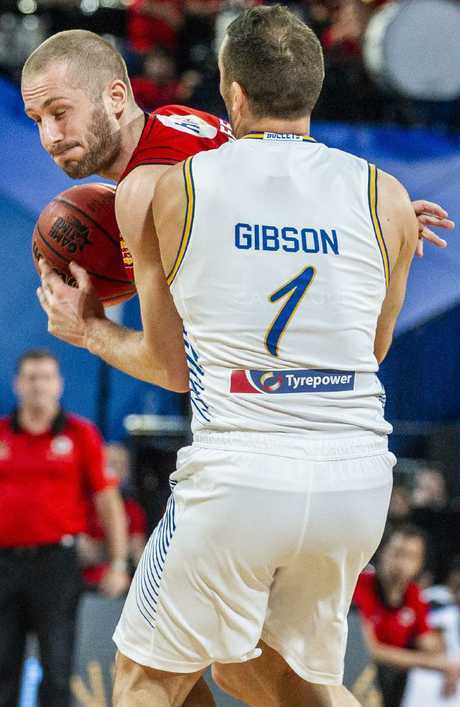 Adam Gibson proves an immovable barrier for Jesse Wagstaff. "We are just not getting the job done. Playing too soft and not aggressive. "We aren't stepping in and shooting our shots like we should. We're passive. "I think we are just playing too soft as a group and that's shown the last two games. "Any time you are let down as a professional, as a player in any sport, you want to come back and try to make amends. It's lucky we get to play them again so soon. "It won't sit well, I don't think, with our group. Gibson said the Bullets had to crackdown on Cotton in the return fixture as they attempt to snap a two-game losing run that has taken the shine off a promising win over New Zealand in the season opener. "He's the MVP for a reason. He's on the big bucks for a reason. He's an unbelievable player and they do a great job of getting him open,'' he said. "It's a collective focus to shut him down. It's not just one or two people.